air joe is proud to serve the Bloomingdale community! We are proud to be a part of this community, serving your heating and air conditioning needs: air joe is listed in many directories under titles such as : Bloomingdale Heating Contractors, Bloomingdale Heating, Bloomingdale Air Conditioning, Heating Repair, Air Conditioning Repair, Bloomingdale Heating and Cooling Contractors, Rooftop HVAC Repair, Ductless AC Systems, Boiler Repair and Bloomingdale Heating and Air Conditioning Contractors. We are here for you whether you need furnace or air conditioner repairs, heating and cooling estimates, equipment replacement or new installation of a furnace, air conditioner, heat pump, rooftop heating and cooling or comfort products to improve the air filtration for your home or business. About Bloomingdale, IL - Happy to be your hometown Heating & Air Conditioning Contractor! 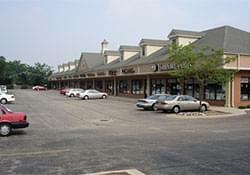 Bloomingdale is an Illinois village located in DuPage County, and as of 2010 its population was roughly 22,000. It was one of the earliest villages to be settled in the area, and it is located about 25 miles from Chicago to the west. The village experienced a major surge of growth starting in 1975, but despite the increase in population, it is still known for its small town feel. Bloomingdale is known for being part of a humid continental climate zone featuring four distinctive seasons. There are several attractions located in Bloomingdale that may appeal to residents and visitors to the area. Golf enthusiasts may enjoy playing a round at the Hilton Chicago/Indian Lakes Resort, and there are a variety of outdoor recreational areas, such as Meacham Grove County Forest Preserve and Springfield Park. Also, people who are looking to catch a flick can do so at Picture Show in Bloomingdale Court.